Lorain County Community College is easily accessible from several major highways including I-90, I-480 and the Ohio Turnpike. Continue on Route 57 north/Route 301 north to Abbe Road, making a turn onto Abbe Road/Route 301. Continue two miles on Abbe Road to the south entrance of the campus. 4. If you are driving west on I-480, continue past the Ohio Turnpike. I-480 becomes Route 10. Continue west on Route 10 to the Route 57/Route 301 exit. Drive north on route 57/Route 301 to Abbe Road (Route 301). 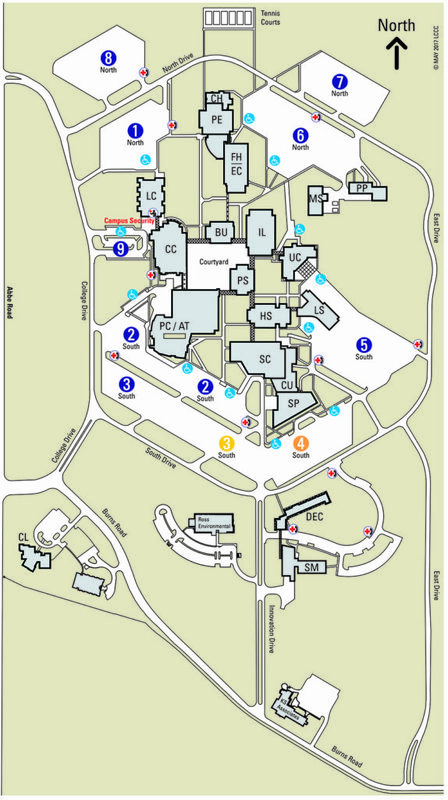 Turn right on Abbe Road and drive north two miles to the south entrance of the campus.